Gypsies from the south of Spain have created this music since their arrival in Spain in the 15th century. It is widely accepted that they came from Sindh, a northern region of India, (now Pakistan). They left in several waves because of invasion and wars with foreign conquerors. The tribes of Sindh moved to Egypt until they were thrown out. They then left for Czechoslovakia, but they knew that they were not going to be welcomed anywhere because of their numbers so they decided to divide themselves in three groups that moved to different parts of Europe. The first document to register the arrival of gypsies to Spain is in 1447. Those known as Gypsies called themselves "Ruma -Calk", (it means man from the plains or runner from the plains) and spoke "Calo" (from the Indian dialect Maratha), they used to be nomads, craftsmen and shepherds. The gypsies have always lived as a nomad culture and took the local music and make their own versions from it. Music is very important in their celebrations and everyday life. All they need to start to make music is a voice, and they soon start to add rhythms with their hands and feet. They have always liked embellishments, improvisation and virtuosity and in Andalucía they found a rich ground for their musicality, fertilized by hundreds of years of high culture, where not only Moorish, but also Judaic, Catholic and local musical influences mixed. The Moores had occupied Spain, and particularly the south, for about 800 years. Science, economy and culture flourished in a rich mixture of cultures. 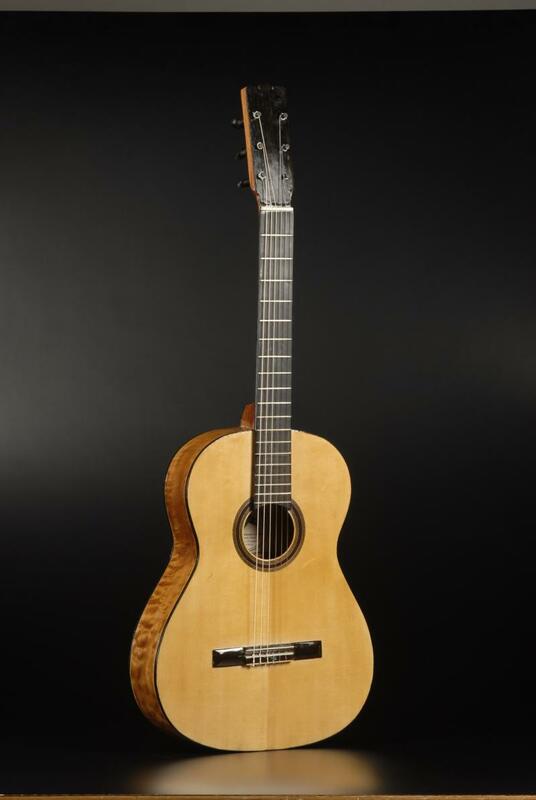 During this time the predecessor of the flamenco guitar was introduced and developed. It is believed that the word "flamenco" is a mispronunciation of the Arabic words "felag" (peasant) and "mengu" (fugitive). It is known that flamenco began to be used as a synonym for "Andalucian gypsy" in the 18th century.